Libby on the Label: #52 Ancestors Week 22 - "So Far Away"
#52 Ancestors Week 22 - "So Far Away"
My most far-flung tree branch is in New Zealand. It's already tomorrow afternoon there! I have ancestors who emigrated to Australia, which is a little farther from where I live, but I've recently connected with a New Zealand 4th cousin, "CPJ". 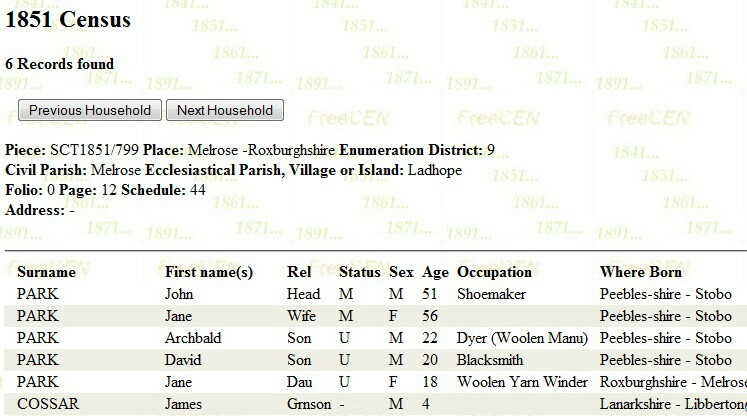 My 2nd & CPJ's 3rd great grandparents were brother and sister. Through our connection I've been able to get a clearer picture of what happened to the family of my 3rd great grandparents John Park (1799-abt. 1861) and Jean (Jane) Murray Park (1798-1891). All four of their children left their home town of Peebles, Peeblesshire, Scotland and ventured out into various parts of the world. 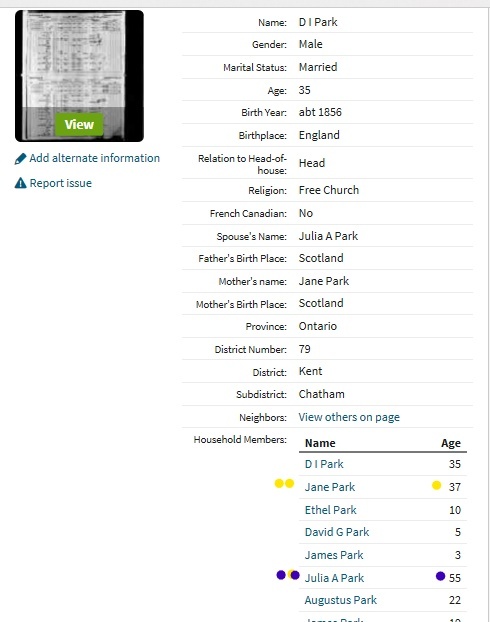 My ancestor, David Park, emigrated to Chatham, Ontario, Canada. Cousin CPJ's branch moved to Christchurch, New Zealand where he was born. I don't know what drove them to leave Scotland. The Distruption of 1843 was during this period. As far as I can tell, none of the family were particularly religious, but I always like to consider socio-economic events when a whole family packs its it in and makes a huge move like this. We'll never know. CPJ's ancestor, Catherine Park Burnet, was the oldest of John and Jean (Jane) Murray Park's children. Mum's preferred name was Jane, which is important because it was a good clue a few times. Catherine had a daughter called Jane Murray Burnet, and my 2nd great grandfather had a daughter called Jane Murray Park. John and Jane Park named their youngest daughter Jane Park as well. Ironically, I finally located her this past week. She also moved to Christchurch, New Zealand, but she was calling herself Joan! Maybe she wanted to differentiate herself from all of the other Jane's, but it sure made her hard to find. I was able to track her down because one of her ancestors did a DNA test and came up as an "Extremely High" confidence 3rd cousin match for my paternal uncle. This DNA match had only 17 names in his tree, one of them being Joan Park. It is definitely our Jane. She moved to Christchurch some time between the 1851 census and 1863. 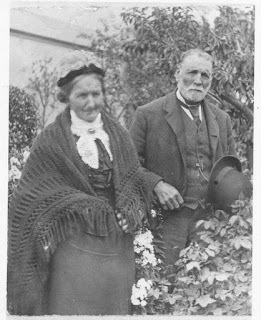 Joan(Jane) married her husband, James Joseph Dearsley on November 14, 1863 when she was 36 years old. I know from cousin CPJ that her older sister, Catherine Park emigrated to New Zealand from Scotland on the Ship 'Queen of the Mersey' in 1862 with her husband Thomas and 4 children. Joan (Jane) must had moved and found a husband shortly thereafter! CPJ also shared this fabulous photo of Auntie Catherine and Thomas Burnet, her husband. (Photo courtesy of CPJ's Burnet cousin, Don McDowall). She had a hard life. 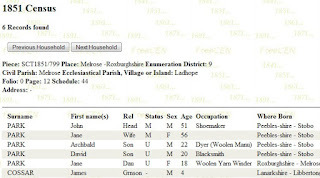 The 1841 census has her living as a servant at age 15. For that same year, I found her brother Archibald Park working as an Ag Lab (agricultural laborer), at the Stable Of Hyndford Well, when he was just 12 years old. My 2nd great grandfather David Park who was 16, and 7 year old Jane (Joan) were still living at home. I don't know if that was normal for the times, or if it indicates that they were poor. Archibald Park later emigrated to Victoria, Australia. That makes 3 children down under, and my ancestor David Park, in Canada. The whole family left Scotland! There are just a few more mysteries to sort out with this family. I can't find a death record for 3rd great grandfather John Park. A few trees on ancestry.com have him remarried, and then passing away in New Zealand. Now that I know his familial ties there, it doesn't seem so crazy. My 3rd great grandmother Jane Murray Park moved to Canada. She was alive and well, living with my 2nd great grandparents David Park and Julia Ann Gardiner Park in 1891. It took me a while to find her. The census taker flipped the ages for Jane Park and her daughter in law Julia Ann (along with other mistakes). In the actual record she is listed as a widow. "I went to N.Z. 16 years ago with my sister to find where my Grandfather was buried. He was buried in Kaipoi, which is near Christchurch. There was a woolen mill there, where he worked. Maybe he went there to be with relatives of his father’s? It’s a mystery to me too. We couldn’t really understand why he left 2 young boys & didn’t try to get home immediately after the war. " There's something there, but we're still not sure what it is. This is why ancestry is so addictive! Who needs television? I also look forward to meeting my cousin CPJ one day, as he now lives In San Francisco, which is not "so far away"!